Once in a while we go to Chinatown to look for lamps and get some decoration inspiration. We've realized we're a little to old to have Christmas lights hanging on our walls, and It was time to get a grownup lamp over our dining table. 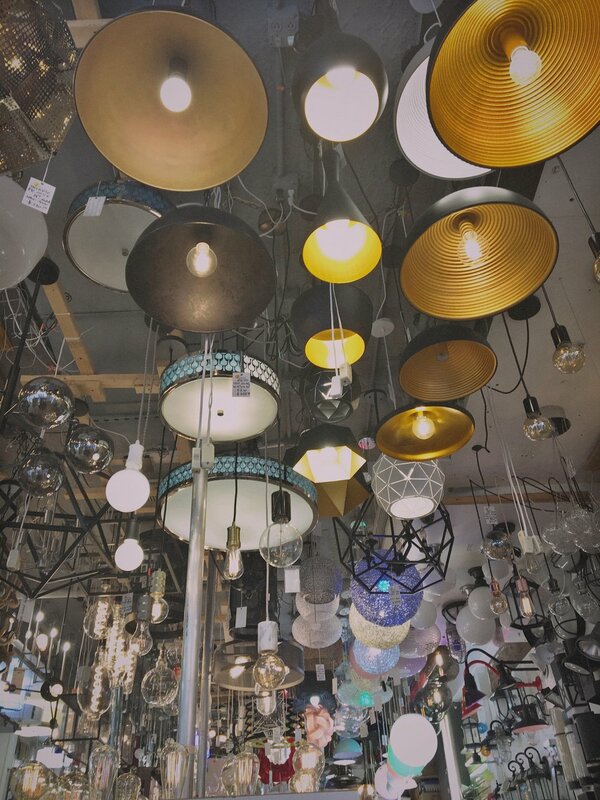 There are so many stores to choose from - and they all have amazing light fixtures in all price ranges and they really know what they are talking about. We ended up buying this black lamp to hang over our dining table. It felt so nice to take down all the Christmas lights that have been hanging on the wall for too long. One helpful 'lamp expert' (he really knew everything about lamps) told us about a new Swedish candy store a few blocks away so we ended our Sunday adventure with buying lots of Swedish candy. Norwegian 'Melkesjokolade' and my favorite - Lakrisal! We sometimes go to the West Village to buy candy from Sockerbit - but I'm so happy there is another candy store on the east side as well.